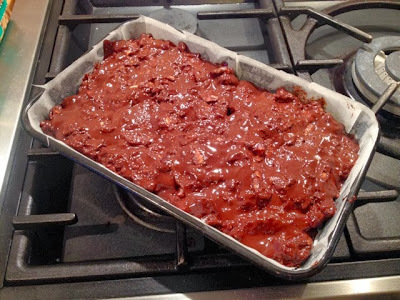 Okay, this one isn’t strictly a bake as it never actually goes in the oven, but it does sort of come under the cakey/biscuity tea time treat category so we’ll stick it on with the Sunday Bakes. 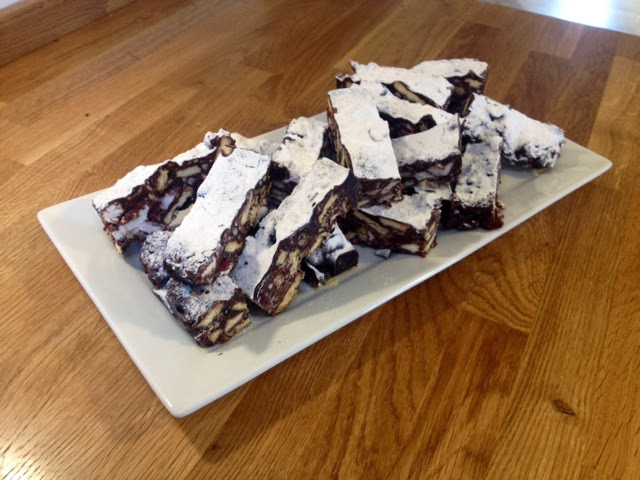 This simple recipe is quick to assemble, easy to make and a real crowd pleaser. 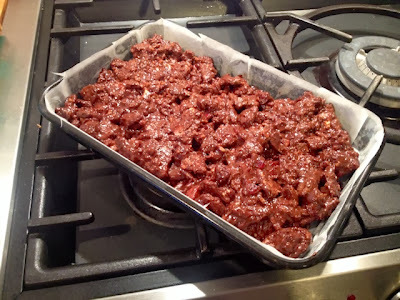 Simply mix all the ingredients together, leave it in the fridge overnight and cut it up into easy bite size pieces. 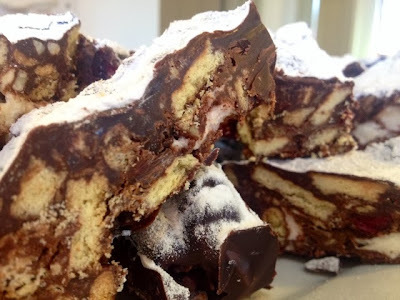 This is great for when you’re making something to take to a party or for a bake sale as it can easily be cut into lots of pieces and shared around, kids will love it too. 1. 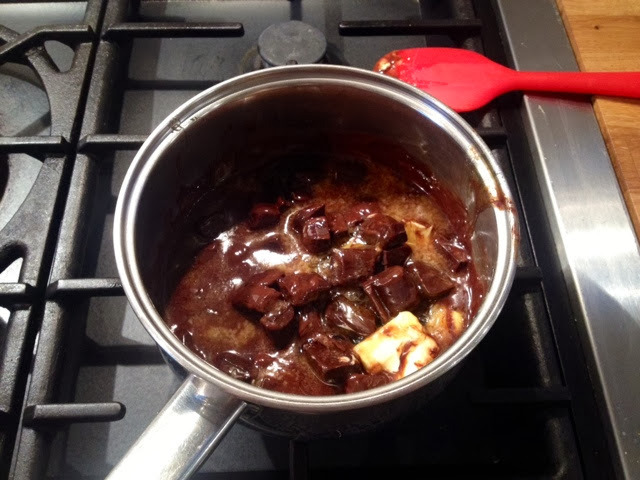 In a saucepan on a low heat melt together the butter, chocolate and syrup. 2. Keep stirring until smooth and completely melted and combined. 3. 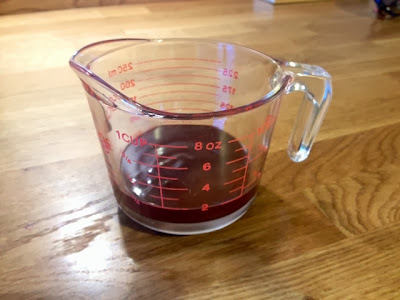 Set aside around 200ml for later. 4. 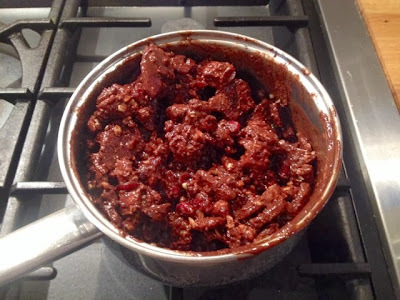 Pour the marshmallow pieces, biscuits, almonds and cranberries into the chocolate mixture and coat completely trying to ensure all the ingredients are evenly distributed. 5. 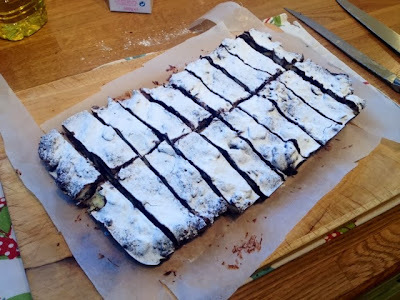 Spread evenly in a lined tray. 6. 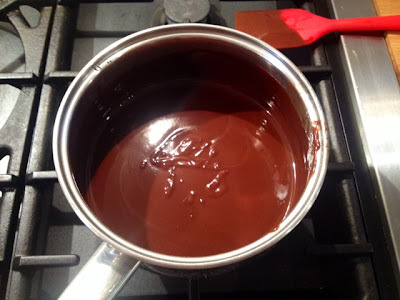 Pour over the melted chocolate mixture you set aside earlier to fill in all the gaps. Pop in the fridge to cool and harden over night. 7. Dust with icing sugar and cut into bite size bars ready to serve.